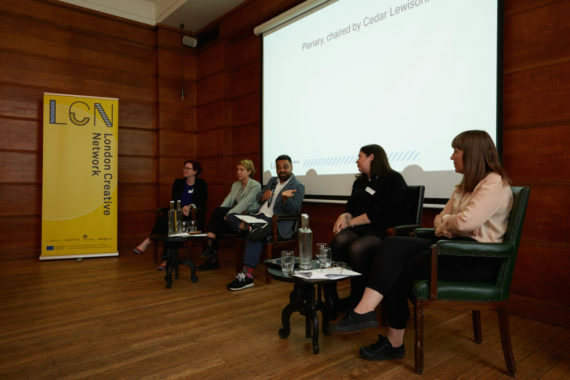 At the conference 'Pivotal Moments: Professional Development Models for Mid-Career Artists', staged by London Creative Network (LCN) in association with a-n, participants including artists Keith Piper and Erica Scourti, and Wysing director Donna Lynas discussed career development and the importance of institutional support for artists. Lydia Ashman reports. “I don’t know if I’d describe myself as ‘mid-career’. 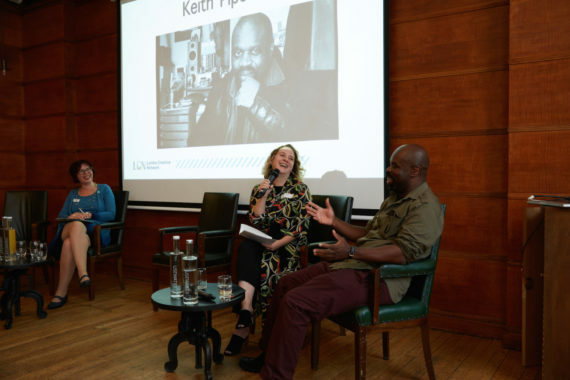 I think that’s partly why we’re here today – what does this awkward term mean?” Artist Keith Piper poses this question to an artist-dominated audience at the event, ‘Pivotal Moments: Professional Development Models for Mid-Career Artists’. The conference was staged by London Creative Network (LCN) in association with a-n. LCN is a London-wide development programme for creative practitioners, led by Space, with Cockpit Arts, Four Corners and Photofusion. The slipperiness of the term ‘mid-career’ that Piper referred to fed into five conversations between artists and organisations which aimed to tease out the nature of seminal turning points within an artist’s career and, crucially, the conditions that enable them to happen. These discussions touched on the complexities experienced by artists in navigating what one audience member described as the “stretchy period” between emerging and established – a time which often coincides with other significant life changes, such as becoming a parent or caring for aging relatives. We heard how well-conceived, well-supported commissions can be a springboard for artists to extend existing interests and explore new territories. Piper was in conversation with curator Helen Nisbet, who he worked with on Unearthing the Banker’s Bones, his 2016 commission for the Arts Council Collection. For him, this was an opportunity to bring together ongoing themes of his practice, engage in new technology and “get some new kit”. Katrina Sluis, digital curator at The Photographers’ Gallery, and artist Erica Scourti discussed the process and legacy of Scourti’s 2014 piece, So like you. The inaugural commission for the gallery’s media wall, this was also a milestone for Scourti: her first solo exhibition in London and an early foray into photographic practices. 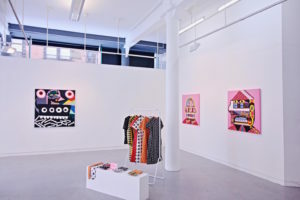 Sluis’ tightly budgeted and perhaps more under-the-radar programme provides scope for riskier commissions for less established artists at a big name gallery. Wysing’s director, Donna Lynas, asserted that these opportunities exist less and less when institutions try to meet their demanding audience targets. Instead, artists who are seen as ‘safe bets’ in attracting precious footfall are repeatedly offered work. This can lead to a multitude of artists “falling between the cracks” as they fail to join the programming circuit. 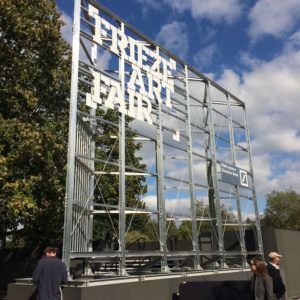 As the day unfolded, the damaging impacts of reduced sector funding and long-term precarity on artists’ ability to access development became a more pressing theme. Lynas described how Wysing is trying to be more responsive and ethical in how it uses its resources to accommodate artists’ individual professional and personal circumstances, and support those who may not conform to neat categorisation or with less commercial appeal. 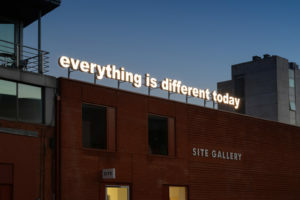 Last year, the organisation flipped its residency programme on its head by moving away from a predetermined theme and structure to simply listing the organisation’s assets and inviting artists to outline how they would use them. Lynas was speaking with art writer, Tessa Norton, who has been able to structure a residency at Wysing around family commitments as she undertakes a project on how becoming a parent has altered her experience of time. 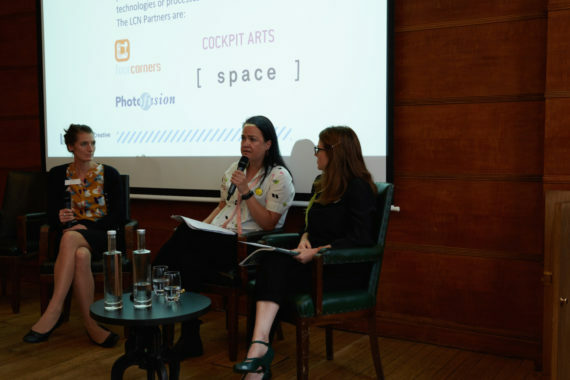 The need for responsive and tailored programmes from institutions was echoed by Karen Davies from Space and Madeleine Furness from Cockpit Arts. They flagged up that, in addition to curatorial support, peer-to-peer feedback and practical business guidance is invaluable to artists, citing that good systems can actually free up resources and time to focus on creative practice. The day culminated in the sobering acknowledgement that while there were heartening examples of great practice, things are only getting more challenging for artists at all stages of their career. A member of the audience from Arts Admin described how oversubscribed their artist support programme was. She acknowledged a discrepancy between the bursary sum that artists receive and the hours they commit to the programme and suggested institutional collaboration could enable resources to go further. It’s clear that further honest and artist-centred discussions are required to determine how we can smartly and ethically direct resources to enable these pivotal moments, small and seismic, to happen.